All subjects implanted with a Second Sight Argus II implant had severe outer retinal degenerations. In the clinical trial, visual function was evaluated by visual function tests presented on an LCD screen, including Square Localization, Direction of Motion, and Grating Visual Acuity. Assessments of functional vision included controlled Orientation and Mobility (O&M) tasks, and the Functional Low-Vision Observer Rated Assessment (FLORA). As of September 30, 2013, 30 subjects have been implanted at 10 centers in the clinical trial. Subjects (excluding one who was explanted at 1.2 years) have been implanted an average of 4.9 ± 0.6 years (range of 4.2 – 6.3). The Argus II remains implanted and functioning in 26 subjects. The safety profile remains acceptable. Performance has remained better with the System ON than OFF on all visual tests, with these results sustained out beyond 5 years of chronic use. As of September 30, 2013, 30 additional patients have been implanted with the Argus II in the post-market setting in Europe. In the first year, only two subjects experienced a serious adverse event (12.5%), compared to 36.7% at 1-year post-op in the clinical trial. Surgical time was reduced in the commercial patients compared to the clinical trial subjects. With 150 cumulative patient-years of clinical trial follow-up on 30 clinical trial subjects, this is the largest study of a visual prosthesis to date. The results confirm previous reports on the ability of the Argus II prosthesis to provide visual function and functional vision over several years of chronic device use. The Argus II Retinal Prosthesis System is commercially available in the US and Europe, and in the post-market setting has shown improved safety and required shorter surgical implantation time. 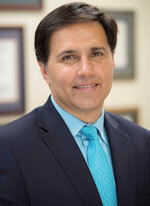 Mark S. Humayun, MD, PhD, is the Director of the USC Eye Institute and the USC Sensory Science Institute, Interim Chair of the Department of Ophthalmology of USC, current holder of the Cornelius J. Pings Chair in Biomedical Sciences, and Professor of Ophthalmology and Biomedical Engineering at the University of Southern California. Dr. Humayun’s research focuses at the intersection of engineering and medicine on the development of biomimetic bioelectronics for medical applications with a special focus on ophthalmological and neurological diseases. He is a member of the National Academies of Engineering and the National Academies Institute of Medicine. He is an IEEE Fellow. He was named inventor of the year in 2005 by R&D Magazine. He is also recognized as one of the Best Doctors in the country and in the 2011 US News and World report listed him in the top 1% of ophthalmologists. Dr. Humayun is the founding director of the NSF ERC Biomimetic Microelectronic Systems Engineering Research Center. He has more than 150 peer-reviewed publications, authored more than 20 book chapters and is listed as an inventor on more than 100 patents/patents applications. His work has led to the formation of multiple start-up companies. He is recognized internationally as the inventor of an artificial bioelectronic retina to restore sight to the blind. The artificial retina, called Argus II, was recently approved by FDA as the first bioelectronics retinal implant to restore sight to certain blind patients.